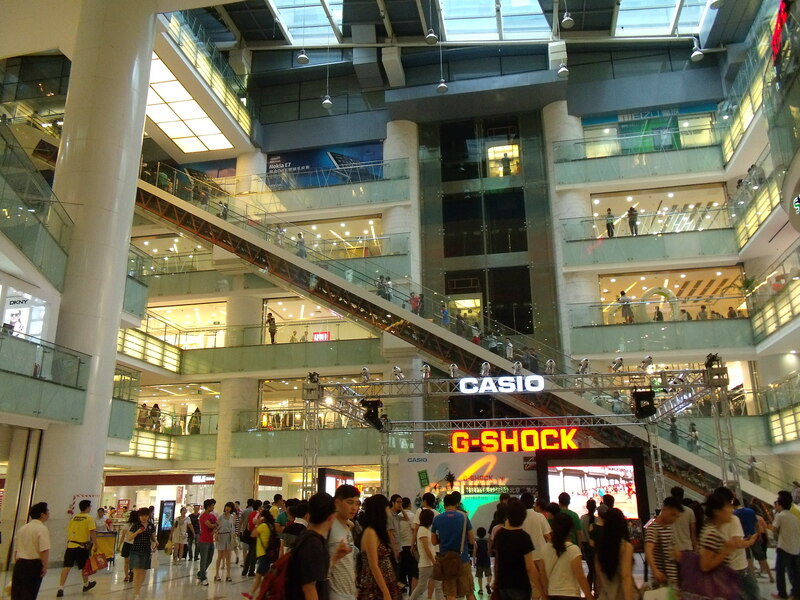 Nothing but the longest escalator in asia, wow~~you can take the escalator to the five floor directly, why? Because the five floor is the recipe paradise! You can got chinese food, japanese food, american food, italy food which Tia love most, even the Thailand food……So I think the long escalator can save allot time for you. And I remember that when I first took this escalator in joy city mall about 1 and half years ago, the christmas day in 2009, I can stretch out my body off the escalator. A little dangerous, but stimulated. But now, transparent walls were built at the both side of the it, it’s more safe, you can’t stretch out your body off, just like in an automatic channel, a little boring, not stimulated any more. yep, it definitely took a long while~ 😀 so, i said that it’s a little boring when it safe enough. I’m totally going to the mall when I visit Beijing. And heading straight for the 5th floor. 😀 That is the LONGEST escalator I’ve *ever* seen. I absolutely love escalators. Especially running up the ones going down and running down the ones going down. haha you actually get there fast. So cool. 😀 😀 😀 take it easy, tia, chinese mall security guards are not tough.